One of the few remaining areas to find investment outperformance is being able to make qualitative judgments not yet represented in qualitative data. Qualitative judgments are perilous because it is easy to fall into any number of personal biases. They should almost never be used when quantitative data is available. Assessing management teams is probably the most persistent place in investing where analysts can be done. Few individual investors have this access. However, maybe game betas are another. I am surprised Red Dead Redemption Online’s few days online – to select people, but popular on streaming services – has not driven TTWO up yet. Game stocks have in general been down in the last month as Fortnite continues to asphyxiate attention and therefore money from most gaming companies. 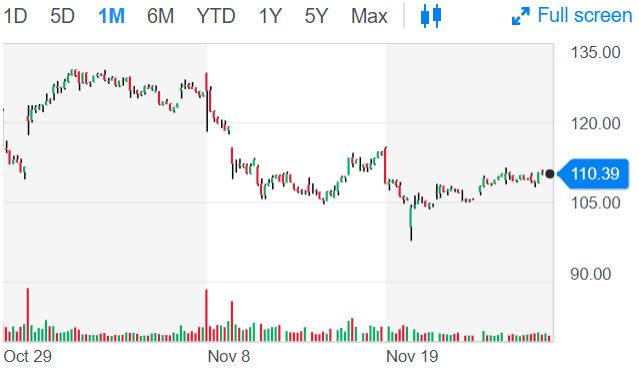 TTWO ran to the low 130s on RDR2 hopes but drifted off as investors wondered “what’s next” and worried perhaps GTA V would be cannibalized, something expressly rejected during the quarterly call earlier this month. GTA V has accounted for the five year gains, as TTWO diversified from the feast or famine years of pre-packaged software releases. Online universes are hard to maintain, and even large companies have difficulty rolling them out (Fallout 76 right now, e.g.). But I’m ready to make a qualitative judgment: the incredible depth and engagement seen already in RDR2 single player now appears to be built upon seamlessly in the online version now being seen in beta. 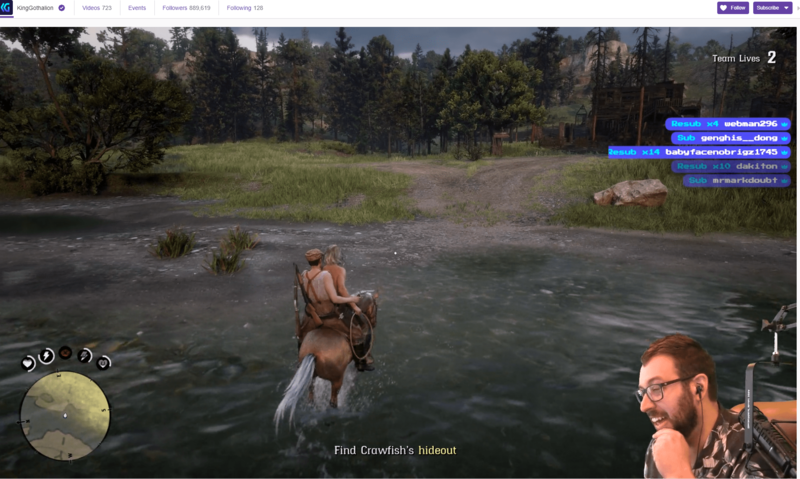 One of many times Twitch streamer King Gothalion was heartily laughing: this time, after a posse member jumps on his horse…he gave the online experience a 10/10. Sales data from browsing Amazon last few weeks had not just RDR2 at the top, but many of the different skus in the top 25. It appears to have even lifted GTA V and, on older platforms, RDR 1 into the best sellers. This quantitative data is surely seen by many large funds, but the big overhang on TTWO: is there something to follow up on GTA V Online? The clear answer is yes. Here are the Nov 28 Amazon top 10 games on PS4 and Xbox One respectively. Note GTA V coming in 10th as well on Xbox One. Fortnite is crushing other first person shooters which is why EA and Activision are suffering. One day something will supplant Fortnite. Take Two does not just have another hit, but appears to have put more distance between them and any competitor in terms of building long lasting immersive worlds. 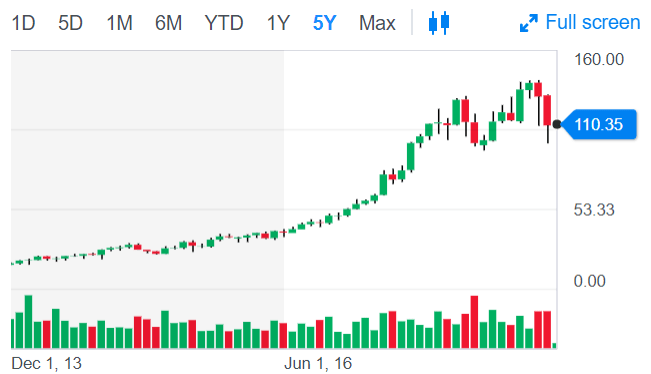 TTWO is a strong long term buy at $110 +/-, and short term traders might want to get onboard when the qualitative judgment here manifests itself in quantitative measures more easily digested by the market. Next Post Is the Organization or the Customer Taste Mediocre?